The news that Bethesda is bringing DOOM and Wolfenstein 2 to Switch certainly caused some shockwaves in the Nintendo community. You might assume that along with Skyrim, Bethesda is still in the process of testing the waters on Switch, but according to Bethesda boss Pete Hines this trio of releases is by no means the end of the story. We’ve been in constant conversation with [Nintendo], and not just about the two games we have now, but about our whole approach to the platform going forward – what we can do, best practices, what things are a good fit, what they’re excited about in what we’re doing. We’re obviously excited about these two games, but it’s not as if we’re going to just do these two games and that’s it. We want this to be the start of a relationship that we build with Nintendo and Nintendo fans. Earlier today, we reported on the news that The Evil Within 2 director Shinji Mikami is interested in porting the game to Switch; perhaps that is more likely than we think, given Hines' positive comments. To have the games they're developing on a handheld is very nice. I'll keep buying if they keep providing! Pretty sure it was @Danpal65 that tipped you on this news. Every one buy these games so we can get the new ones ported, like The Evil Within 2. THIS is how you go about an "unprecedented partnership" EA. Take notes. Gonna kill some nazis on the commute. Gonna kill some nazis on hotel room. Gonna kill the nazis in my bed. Gonna kill the nazis till they're dead. Talking about the Wolfenstein II of course. I'm so conflicted on this. I have been and always will be a huge Nintendo fan and always love to support Nintendo when there is a multiplat game, but I have a PS4 as well and the fact that yes it sounds like DOOM runs extremely well, all things considered, but it still isn't at it's best. So if they are asking for the same price for the Switch version as they are for the PS4, then I'm probably out. And when it comes to Wolfenstein II, which I am thoroughly looking forward too, it comes out a few months later. So I have to ask myself. Is it worth waiting 3 or so more months, paying the same full price, and having it underperform, compared to if I got the PS4 version? If Bethesda bought all the right to Fallout, and the right of Fallout 1 and 2 don't belong to Black Isle Studios anymore, I would love to see those 2 games on Switch - perfect for portable gaming! I will probably buy fallout 4 again if they release it. @HawkeyeWii I wouldn't compare apples and oranges if I were you. The all important thing is about the quality of putting theses onto a tiny game card inside the Nintendo Switch. So far, The Elder Scrolls V: Skyrim and DOOM are living proof. @Ichiban Maybe not Mario or Zelda, but it's not much of leap for Samus to shoot demons instead of space pirates. I know what you mean... sort of. If it's only about graphics, I can play multi-plat games in higher fidelity on my PC. In fact, even the PS4 version is seriously underperforming when compared to this (if I wanted to think in your terms). So it all depends on your point of view. And the PC version is actually cheaper than the PS4 version. Where does that leave your argument? But what's more important: I can't take the PC or PS4 version on the go. So even though the Switch version has the drawback of lower fidelity graphics, it does come with another big advantage. So why not charge the same as for other versions, if the pro balances the con? You must just make up your own mind if you want to play the game only at home, or if you're tempted to also play it away from the couch and the TV. @HawkeyeWii I'll say that it comes down to portability. Also, 10 bucks less could be a very enticing price point for some gamers even to double dip (40 is more tempting but much less unrealistic and having all the DLC included surely doesn't hurt. That's actually a nice comment to hear though, and it doesn't just sound like the usual PR blabber with get from some other people (EA...). Don't have a Switch, but I would absolutely buy these games for it, no doubt. When I get a Switch, I know I'll buy Skyrim for sure, just to see what it's like for myself. Excellent news! Not just for Bethesda fans, but for Nintendo/Switch fans all around. Bethesda is not a minor company, and when they get so far onto the bus, other companies are gonna notice, and want a slice of the pie. For us, that means more games! Good news indeed! @Ichiban I would get the Switch version for that. Don't say it's impossible though! You never know... stranger crossover DLC has happened. Bethesda seems way more credible and believable than EA and their "unprecedented partnership" with Nintendo. @HawkeyeWii I have a PS4 as well. But for me, the convenience factor tends to outweigh the power factor. If you're only playing the Switch docked, there is no real reason to buy any 3rd party games that you can get on the PS4, for the Switch. @HawkeyeWii I have a PS4, but there's not a game on it I wouldn't prefer to be playing on my Switch - there's no way a small amount of graphical gloss and smoothness outweighs having it available to play in handheld mode whenever/wherever I like. @Ichiban I mean, you are gonna be able to murder people with the Master Sword, dressed as Link in Skyrim, so I wouldn't rule it out. @gcunit you better believe we need to support this company. Not only do they have good games that I never really got around to playing, but it is on the Switch. We Nintendo lovers need them to do good. Even after dumping 300+ hours into it, I would do it all over again if Bethesda were to find a way to release Fallout 4 for Switch! I don't see how they could squeeze it onto a cartridge, but I'm slowly starting to believe that it's possible. I hope it lasts a while. I'll be buying all three of their games. I wonder if that relationship is good enough to create a console exclusive game. I just hope these games will actually sell well enough on Switch so that they'll actually be properly able to keep this relationship alive. Bethesda has some great talent, so it's wonderful to have them on board, so it'd be a real shame to lose them due to lack of sales. Which certainly wouldn't be the first time something like that would happen. It would be nice to receive any Dishonored and (especially) Fallout games on the Switch further down the line, either last- or current-gen. I've never got around to playing those series so I'd definitely be hyped about those, as they'd be completely new to me. The words are nice but if the games don't sell we know what will happen. Hopefully DOOM and Wolfenstein, if both turn out to be high quality ports, will sell well enough so that Bethesda believes it's worth it to try and forge a real partnership with Nintendo. @NewAdvent Oh you mean you understand common sense. 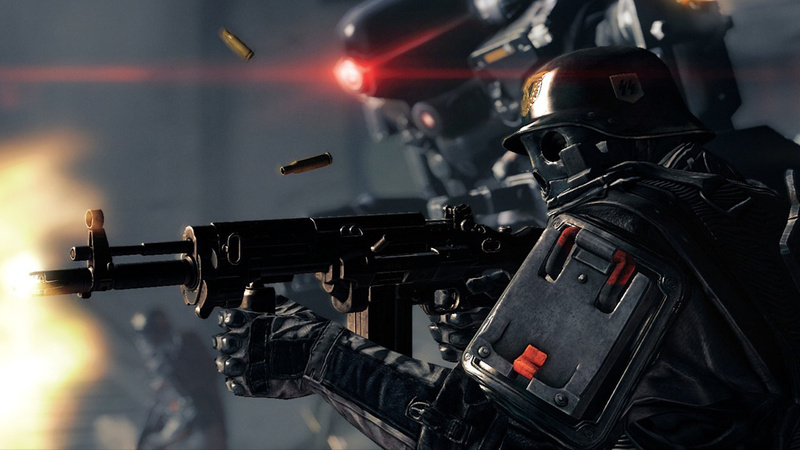 Bring Wolfenstein The New Order while you're at it! @HawkeyeWii I guess it all depends on what you mean by underperform. If you are talking strictly from a graphical standpoint and that is anyway of importance to you, then I suspect you deep down know the answer. @HawkeyeWii Very good points your making. I'm in the same boat, and have had thst same internal debate. I've reasoned that the switch version of any multi plat is the way for me because I no longer have enough free time to sit down and grind through a game. The flexibility of the switch will allow me to actually finish a game now. I'm willing to live with half the fluidity if it means I can actually play my games. Hoping if things go well they will eventually launch an exclusive title for the switch, so they can fully exploit the switch capabilities and not be hindered by a port of a game that was designed to run on another console in the first place. A "relationship" is a lovely way of framing their support for the Switch. A relationship can thrive if both parties trust and support each other, but if either side doesn't hold up their end of the bargain, said relationship gradually crumbles. I'm looking forward to what else could be coming from then. I'll happily buy Fallout 4 again to play it on the go too. First The Elder Scrolls V: Skyrim, then Doom and next is Wolfenstein II: The New Colossus. Keep the support going Bethesda. @HawkeyeWii If you don't use Switch as a portable that often it makes sense to go with any PS4 version of a game. @BanjoPickles Fallout 4 on PC is only ~30GB so definitely doable on a Game card. Dishonored on the go would be a dream come true. The switch is the first game console (or portable whatever) that makes me want to have a collection of games for so I plan on getting all of these. Even if I already own all of them on PC/PS4. I just love the idea of DOOM sitting next to games like Zelda and Mario. As for more Bethesda games I'd love to see fallout 4 and Prey. I'm definitely buying doom and skyrim. I hope they continue their support. Quake 4 & Doom 3 BFG!!! The games are here guys, all we need to do is show our support! 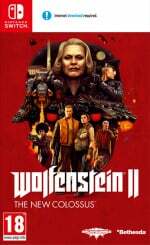 I know I will be getting Wolfenstein 2 on the Switch, I am considering the others but I have already played those two extensively so they arent high priority. @mateq Not sure if they have the rights for the original games publishing but they did that Fallout ultimate edition that featured them. Maybe NCL giving them money and not EA? Who knows? Buying DOOM, Skyrim and Wolfenstein 2. Already own on Xbox One but I'd rather have on Switch, and will gladly buy again. This is what people complained about wanting all generation long on Wii U. If you never had intentions of buying any other version than the prettiest, then why complain about wanting 3rd party support in the first place? Bethesda is the first major AAA publisher to unconditionally reach out and try to forge a lasting relationship with Nintendo fans. Try to build a new fanbase in an untapped market. I say it's time for us to put up or shut up. This is everything we've been asking for. Keeps getting better and better. I can't believe of all studios Bethesda's the one that's going all-in on Nintendo. Makes sense though. They're targeted on their relatively thin catalog of major games and really look after their games for evergreen sales versus the "fire and forget" mentality of the factory studios. They make gamer's games, and that fits Nintendo so well. But with Bethesda not just going into Nintendo but diving in whole hog face first, jump first ask later, other companies have GOT to be rapidly scrambling to come up with a "Switch policy" internally right about now. This, along with the mention that NoA approached Bethesda about Skyrim, I can't help but thing this isn't just Bethesda deciding to jump in but a coordinated business effort realizing a mutual audience. Nintendo lacked any closely affiliated western 3rd parties other than, on-again off-again Ubisoft. The big studios are too jaded and tepid to directly engage so they dip their toe in and if the water's too cold they bail. Bethesda and their evergreen model fits Nintendo business. Nintendo needed an affiliated western AAA, and Bethesda gets VIP treatment into entering a whole new market for them. Business wise, it's a beautiful match. But I love the way he's talking about this in the future and about what fits. I don't care about Evil Within, or Dishonored....not even so much about Fallout. But this sounds so much like "Yes, Switch could get TES6!" Can I put my pre-order in for the super duper $199 collectors edition now? I'll buy two. @dimi " You can't play Rayman all your life"
I don't understand. Maybe Google translate got it wrong? Lets hope its not an 'unprecedented relationship' eh? This is great news. I'll be getting these for my Xbox, but it's nice the Switch isn't being left out. They should release a TNO/TOB double pack at some point. Prey, a criminally underrated gem, would be good on the Switch as well. Maybe a Fallout 4 release with a new story that, you know, doesn't completely fall apart halfway through. I'd buy that for Switch. We've killed nazis in the SNES and GBA port of Wolfenstein 3D (which were pretty bad, unfortunately), and we'll kill them again in Wolfenstein II. Killing nazis is always fun. @JaxonH You hit the nail on the head! This is great news, i am a fan of alot of Bethesda's work. I already have Doom on xbox one but i will do my part and double dip on switch no doubt, i will also pick up wolfenstein on switch as well. I hope they bring the evil within 1 and 2 to switch and fallout would be great also. I prefer any of those games over skyrim, just not my type of game. This is probably an effort by Bethesda to have a character is smash. Twin Snakes only happened so that Snake could be in Brawl. These recent Bethesda games on the switch might be so that DOOM guy can be in SSB Switch. Very glad to see a company willing to invest...to be honest I passed these up on pc but very interested in carrying them on my Switch. @Ichiban may not happen but a red/gold color skin would be awesome. Oh man. This is such refreshing news to be reading. For me, Skyrim captured the magic of Nintendo gaming like no other 3rd party since the Square and Konami days of the SNES. I'm so friggin happy to see that it's Bethesda blazing the trail for big 3rd parties to return to Nintendo. Granted I won't pay the full price, and will probably get them on PS4 first, this is still fantastic news, as I've already been purchasing the same game for PS4 and Switch (Puyo Puyo Tetris is just one, with Skyrim going to be the second). On top of that, it would be like getting a game on a console and then getting the same game on a portable, so I'm not sure why some people are comparing the two? Anyways, glad the Switch is getting support, as I was one of the people that waited on the system and was hesitant about it, but I'm sort-of enjoying it (still has a little more to improve on my behalf, but still...much better than the Wii U, just still not many games available for it yet). Looking more forward to Super Mario Odyssey, but since I have no care or even want for Pokken Tournament, this is kind of an added bonus until Kirby and Yoshi arrive in 2018. Does anyone know when any of this companies games are even arriving for the system? Amazing. I can't wait to play all their games on Switch. @JLPick No one is complaining, just some people are saying that if they have an Xbox One or PS4 they'll probably choose that version before the Switch version, which makes sense if they play at home. Having options is all good, but not all people have the time and money to double dip for each game that is released. Bethesda is seriously supporting Switch, that's definitely good. And if not, we can always look forward to a reboot/sequel to Super Noah's Arc 3D. Or so they said before the bad sales came in. It all depends on the sales! @PlayedNSlayed "Unprecidented" relationships don't come with games, silly, just one late port containing 1/3 the product for 3x the price, a half-baked reskin, and one real quality game, late to the party, that nobody asked for, along with double edged comments and back handed attacks for the first 6 months after launch. Reminds me of Bethesda's first E3 show a few years back when someone in the audience heckled "what about WiiU?!" and Pete laughed..... wouldn't have guessed we'd be looking at 3 titles for Nintendo from them with positive discussion about more to come. I agree with you on the put up or shut up part, but to be fair, the games have to deliver. I'm a big fan of FPS so pre-ordering DOOM and Wolfenstein was a no-brainer but if reviews hit and it's showing poor ports that don't run well, I wouldn't blame anybody for skipping. Reports on DOOM have been good though so I'm hopeful this could actually work out. @Henmii All true. But notice that Nintendo is co-marketing their games with their first party titles. That's not something we're used to Nintendo doing. Assassin's Creed, Watch Dogs, Mass Effect 3 didn't get that treatment. Capcom gets that treatment. Squeenix occsionally does. That alone will make a major impact in sales. Even if "Nintendo gamers only buy Nitnendo" games can be true, it's inaccurate. "Nintendo gamers only buy games spotlit by Nintendo" seems more accurate. If Nintendo's co-marketing, Nintendo gamers are much more likely to buy. I don't care for Skyrim all that much, but give me Fallout 3 and New Vegas, and I'll be a happy gamer. I am going to purchase all 3 of the games on Switch. The lower graphics is nothing to me. As long as it is smooth. Nintendo might give them more spotlight in the Directs, but what about commercials? I do agree though: If Nintendo gives them more of a spotlight, people may be easier persuaded to buy them. But I first have to see it happen! 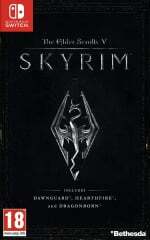 Skyrim was ok back when I played it, but I don’t really need to play it again. If I hadn’t played it, I’d get it. The other two are absolutely not my thing and I’d never buy them (I especially dislike horror games like Doom). I’d consider getting Fallout 4 if that came. Happy to see them coming to Switch, but they just aren’t for me. @Henmii The Directs reach the base and the colloquial "Nintendo Gamer" that only buys Nintendo games. For mass market, Nintendo's marketing around Switch seems to be going for the broad "library advertising" approach with snippets of various games. The current long form one (that they pull from for the TV spots) shows FIFA, Rayman, and NBA, so they're giving those games some advertising, but not as closely knit. TV ads are minimal in appeal these days, so I'd look for "staged candid" marketing of tweets and namedrops (they're doing the embedded social marketing thing now.) and co-branded signage in retail space (and estores.) Additionally Nintendo's been hosting the 3rd party games at their own booth at trade events and promoting them with their library. That gets the press including them. And the press funnels out as "acceptance" in the public. It's more subtle than "Nintendo ran a Skyrim ad!" but I think you're going to see the Bethesda game logos featured with Nintendo lineups in a lot of capacities that signals "inclusion" as part of "this is what's trending on Switch" that seems so important in the marketing age. We've already seen it with Skyrim, but it's really ramping up in the last month or so. skyrim.nintendo.com is as bold a sign as any. Speaking of Switch presence in the wild: I was doing some web searching for Note 8 Orchid Gray backorder the other day. 4th link down was "Nintendo Switch gray, backordered." Switch is sharing search popularity with the flagship phones. That's something.... The Switch link even showed up above S8+ Orchid Gray backorder links. 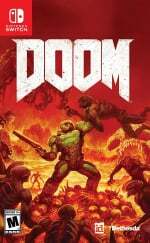 @justin233 FWIW Doom isn't horror. Doom 3 was horror, and it was so very very wrong. It features demons and some zombies....but it's a run and gun arcade action series. They tried to turn Doom 3 into survival horror and it was absolutely miserable. I don't do horror. AT ALL. either. I tried to force myself through Doom 3 because I otherwise loved the series and just couldn't do it. But the new doom seems back to roots. Horror involves you feeling vulnerable. Doom is about the demons feeling vulnerable to you as a one man army that destroys everything in your path. Classic 90's gaming. It's bloody. It's very very bloody. Ordinarily that's not my thing. But Doom just had that arcade charm that I learned decades ago to overlook the blood for the sheer arcade action. Wolf:SotC.....not quite horror....not quite...I don't even....I can't even.....I'm just not sure what to call that one. Pete Hines of Bethesda said it best: It's f***** bananas. Really what else can one say about that game? Not my cup of tea but I'll try it out portably anyway. But Doom I'm legit excited for. (Doom was on N64 as well, so it's actually a returning Nintendo veteran.) Wolf was on SNES originally. Both of these have Nintendo roots with the originals, despite being DOS games at their heart. @Giygas_95 Indeed. cough Bayonetta Peach cough I would say never say never! This almost brought me to tears. Bethesda is one of my favorite game studios. They produce about 40% of my favorite games and them creating a relationship with Nintendo is amazing. @NEStalgia I like survival horror depending on the game. I haven't played Doom 3 but as you said Doom 2016 is not a survival horror game. The feeling that it arouses is not fear but some kind of repulsion. It's a much gore arcade game. @NEStalgia Maybe ‘horror’ wasn’t the correct word to describe them. Either way they don’t appeal to me and I don’t think I’d enjoy them. Maybe if I could turn down/off the gore. I just prefer cutesy games over... these. I have previously had no interest in Doom but I will buy it now because of this kind of comment. I don't really like Elder Scrolls but I will be happy to buy Fallout 4 (New Vegas 2) or Evil Within 2 as well. Nicely analyzed, as usual. Never considered this, but it resonates and feels absolutely right. Kudos. @crackafreeze @Ichiban Funny you should say that, since there's a theory making the rounds that Bethesda/id are actually making Prime 4. Obviously that's just wishful thinking with no real evidence to support it, but I think it would be cool. @NEStalgia It's hard to advertise third party when Sony spend a huge amount of money to slap a 'PS4...for the players' sound bite at the end of commercials to sell the mass market the illusion that it's a PlayStation game. This has me pretty excited for what's coming down the pipeline. It also makes my imagination do cartwheels thinking of what Bethesda could do for Nintendo post-Switch. I'm most excited for Wolfenstein 2 at the moment though I'll grab Skyrim (again) and Doom as well. Side note, did anyone else miss the Gamespot vid of Doom gameplay in handheld? Looks pretty damn good and smooth from what I saw. @BAN THAT would be awesome. Prime was already a beautiful game both in gameplay and graphics. I can't even begin to imagine it with Bethesda behind it with more horsepower. @GrailUK Yep, Sony also tried to make people believe that Monster Hunter World was a PS4 game. Post 67 is a great post. I have this image that the third-parties who have been supportive of Nintendo in the past like EA (GameCube and Wii era), Ubi Soft, Activision, Capcom were watching each other waiting for one of the others to jump in. Now of all people Bethesda have jumped in two footed. If they finish up making a big impact and some big money there will be questions asked in those other boardrooms. Switch needs Friday the 13th!!!!!!! @BlueOcean Exactly. Sony must spend a truck load on advertising exclusivity. @HawkeyeWii I think it also depends on how you play your Switch. In my case, having a portable Skyrim is pretty big. If portability is your thing it might be worth it. @HawkeyeWii Depends if you value the benefits of mobility over slightly prettier shiney shiney and hardly noticeable FPS stuff. And I dont't blame you if you do! For me, I'll enjoy lounging on the sofa killing stuff then linking up to a nice TV when the mood strikes. Perfect. @GrailUK That's a good point....I forget too often the impact that sort of fact by omission advertising can have on people that don't already know the details. A good chunk of the market probably does think a good chunk of multiplats are PlayStation games. Bethesda making Metroid similiar to a fallout game? The run and gun DOOM is just flat out ridiculous, over the top fun. Gory, true but almost cartoon like. I already loved Bethesda, but im getting even more excited about them. keep on bringing those games. So... Bethesda are to the Switch, as what Ubisoft were to the Wii? Very cool. Great news. Nintendo hardware will never fit with the conventional technology of Sony and Microsoft, but if a company can get past that, there is much that is good about them: Great games, unique innovative systems and a keen eye for always trying to expand the market beyond core gamers. So long as they've managed to ditch their old baggage of seeming to be indifferent to 3rd party support, and now embrace and care for them properly, there's no reason this couldn't be the start of the genuine re-ascendance of the Big N.
@yuwarite If that's the trade off, I welcome it. Ubisoft meh. Hand-held Fallout 3 with all the dlc please. Awesome. I'll definitely be picking up all three Bethesda titles announced so far on Switch. Bring us all your games, Bethesda. And I mean some older games too, like Wolfenstein: The New Order. @NEStalgia No! What i meant: a new player at very young age will start gaming with kid friendly games like Rayman but as he grow up he may want to try something more "adult" like Doom. I just really appreciate how Bethesda is going all in and willing to bring over a range of their games and seeing how it goes instead of just ONE game and then bouncing if that particular game doesn't sell well. It's not just about bringing over a game, it's bringing over the right game that'll appeal to the correct audience. I hope their faith in this partnership with Nintendo will be rewarded. I certainly plan on picking up DOOM. I see where you're coming from. I'm PC only + switch. For me I have the PC for the graphics and controller. GTAV was awful on the 360/ps3 and on the PC it's just great. Doom on the Switch looks nicer than I really thought possible but... I have it on PC and I just can't do FPS on controllers. Halo was OK because the hitboxes were the size of the Empire ST. Bldg. but that's about it. COD was ok because you could basically auto-aim through it but if I want to play a graphically intense FPS; PC baby. I do like that these companies are trying on the Switch. N is between a rock and a hard place now with their less than stellar management. Online is a joke, low memory in the console (a la Apple; guess N could do a 128 GB version for 699 or something), poor profile controls; should eat the cost of those cartridges (they created that mess, they should eat that cost), etc... I thought they would learn from the N64 debacle then came the GC (tiny crappy discs); wii (can we say gimmick? glad that motion control stuff is basically dead; so is Microsoft haha kinect), the Wii U expensive controller mess, so on and so forth. BUT; I've bought NBA playgrounds, sonic , zelda, and a couple others on the Switch. LOVE the portability and this is where N should stay. OK keep the dock but stick to what works. KILL the 3DS please and put 100% into the switch. I hope these titles sell well and a Fallout 4 on the switch? sign me up. heck I barely played skyrim so I may grab that. I don't care to sit at the desk too much anymore so a portable 'big boy game' appeals to me. Nice to have console games in your hand. @NEStalgia I think you're looking at the wrong side of the PC game market then, because there are so many 'cute' PC games out there. Yes, mostly Indies, but still. I have to say, of all the major publishers, Activision missed out badly. They could have had a version of COD WWII or COD4 Remastered on Switch this holidays, but instead they let frickin Doom take the spotlight as the premiere FPS on Switch this holiday. Rated M for More Third Party Support. COD's only saving grace is multiplayer and N is not good with that (networked, not local). with the terribad voice 'system' they've concocted and the reliance on friend codes (yeah i know it's better now) but yeah. people play COD for the mp and for the spectacle. neither of which the switch or N is going to do. heck, doom multiplayer from what I understand died on the vine so that's not an issue for N. which is why doom can work on this doohickey. I’m anxious to see what we get in 2018. I would almost guarantee some form of Call of Duty. I wouldn’t mind seeing the CoD 4 remaster. I would probably prefer that over anything recent from them. @Malcrash : I'm hoping that the delay into 2018 means that they're secretly working on porting the first game(s) too. I wouldn't hold my breath of course. I'm just ecstatic what we're getting iD anything on Nintendo systems again. The last iD Software game on a Nintendo system was Orcs and Elves in 2007! The Switch's less-than-stellar online multiplayer gaming capabilities doesn't mean COD can't come to the Switch. While Capcom is still dipping their toes in the water we have Bethesda cannonballing just for the hell of it. Never thought i see that happening. If they bring the support, they will get my money. I'm already down for DOOM and Wolfenstein 2, just add The Evil Within 2 to the mix and I'm set. iD Tech 6 is a great engine that both Doom and Wolfenstein II use so it makes sense to port the latter as well. The engine is easily scalable and optimised. The Evil Within 2 uses the previous version of the same engine. It's quite surprising, however, that is Bethesda among all publishers the one supporting Nintendo's new console the most. When even 2KGames, Rockstar, Bethesda, and Epic Games are supporting the Nintendo Switch, you know that the hybrid system will be here to stay. Those who still believe that the Switch is doom or is dead on arrival are probably kicking themselves right now. Activision and their Call of Duty rehash can stay the heck away, that series is cancer and I'm glad none had came to the Switch. Whatever you do, Bethesda, ADD GYRO AIMING to DOOM and any other game with first-person and third-person shooting, just like you did for Skyrim! I don't care about any other kind of motion control but gyro-aiming is a must-have in a game like this. An optional must-have if there ever was one! Many of us aim in our games with IR or gyro since 2007 (Wii - ten years ago), but having twin stick controls at max? This is what GoldenEye gave us in 1997, twenty years ago! Just saying, it's not so easy to get away on a Nintendo console when you do not offer at least the bare minimum of standard controls! Yes, gyro aiming is standard. Maybe it's the future on Xbox and PS but on Nintendo it is the expected standard. I think judging by the comments seen over the past week, Bethesda's on to a winner with Nintendo customers. I reckon if they sell over a million with each title on Switch, other third parties will definitely scurry over. If they build games that aren't part of the graphics arms race but are tailor made to look the best it possibly can on the Switch, then it can only be a good thing. Edit: @SKTTR with you on gyro aiming. Once I experienced it with Splatoon, I'd struggle to go back to twin stick clunkiness. @HawkeyeWii The ironically funny thing about this statement is that you don’t want to buy the Switch versions because you are aware that they will under preform graphically compared to the PS4 version. That you don’t want to buy an inferior version of a game knowing there is a better one out there. Well the PS4 versions of these games under preform comparatively to the PC versions so with that mentality wouldn’t that also keep you from buying them on PS4 as well?? Yeah, namedropping on social-media is important nowadays. And yeah, Nintendo might make more of a effort in that field nowadays. So potentially It could all work out, but we'll wait and see! sure. they can port it. doesn't change the narrative. COD is big budget silly with multiplayer. N/Switch isn't that. hey, i'm happy doom/wolfenstein is coming and i'll probably double dip on doom just for the "crap this is on portable?!!" factor. I'd like to see nba jam come. i bought the ipad version and about 5 minutes later got a refund. touchscreen nba jam was awful. Is that all?? That's crazy! Then again, if Switch can run Skyrim as well as it seems to, there's no reason it can't run Fallout. I would definitely re-purchase Fallout 4 if it were to come to Switch! It's the first Bethesda game and made me a believer in the developer and the main reason I will be getting Skyrim, Wolfenstein II, and DOOM for the Switch. @HawkeyeWii I see what your saying and as an owner of a PS4 as well, are you really have to ask yourself to know which version you want is, Do I want to play these games on the go as well?" If the answer is yes then it's a no-brainer, if you're only playing this at home, I'd of course go with the beefier version. Porting over these enginges would have been a rather pricey endeavor just for releasing a couple of old games. Looking forward to what they have in store. Keep building the relationships till you get to make a Nintendo exclusive with one of their IPs. @BlueOcean To me, but I count the Switch as a portable, it would be like buying the same game for a console and handheld...that was the only thing I was thinking everyone was complaining about. But other than that, it seems that's what companies are going to do once again, just like the Wii U era, or releasing the games that are already on the others, and have been on the others for quite some time. By the time Doom releases on Switch, it'll be $60 for Switch and probably down to $20 for the others...something about what happened with the Wii U, makes me a little cautious about this. @JLPick Yep, it's nice as a handheld but as a home console multiplatform games arrive late, more expensive and technically downgraded. That's basically what divides people. Fallout 4 has shown up in a retail listing for Switch so things are looking up. @HawkeyeWii I have one word for you: portability. @BlueOcean Also what ended up hurting the Wii U. Hopefully it doesn't continue with the Switch, but I see it continuing, but not in a hurtful way as it was with the Wii U. As long as the Switch continues strong, I'm sure nintendo's next system will be back to normal, like it was in the past...depending on what the next system will be. Doom is the reason I bought a Switch in November. Sure Zelda and Mario are great and I’ll play them as well... but, knowing there will be hope for the possibility of current gen AAA titles on the Switch is comforting. Even if it’s 720p and 30fps, the portability factor outweighs the graphics, as long as it plays smoothly.